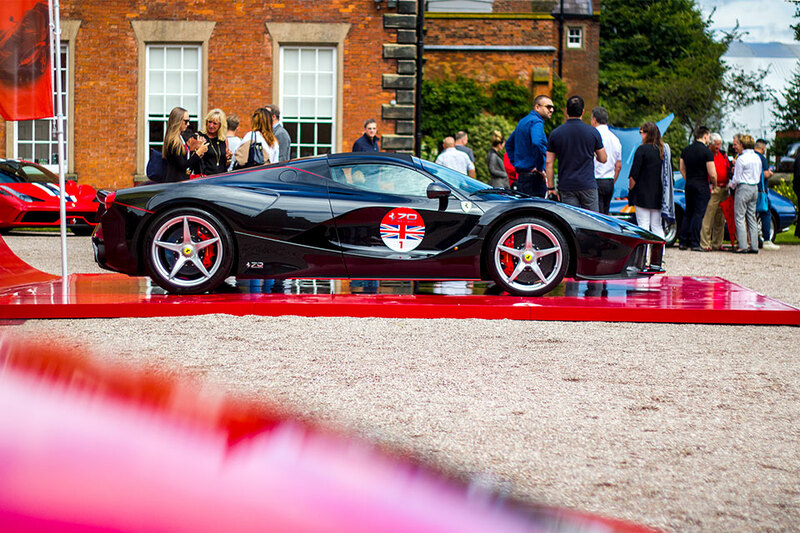 Back in August Ferrari celebrated their 70th Birthday – we went to Capesthorne Hall in Cheshire to see what all the fuss was about. 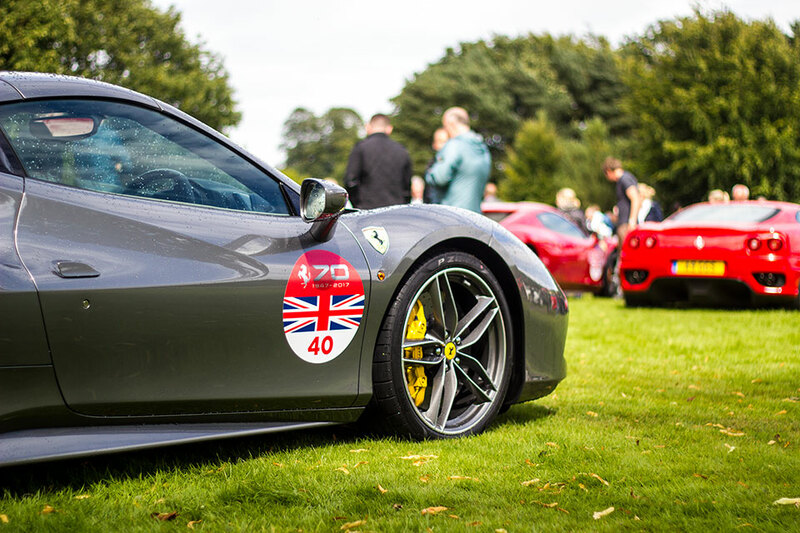 With clouds in the sky but a serious threat of blue skies and sunshine we headed to Capesthorne Hall in Cheshire to join part of the Ferrari 70th Birthday Celebrations. 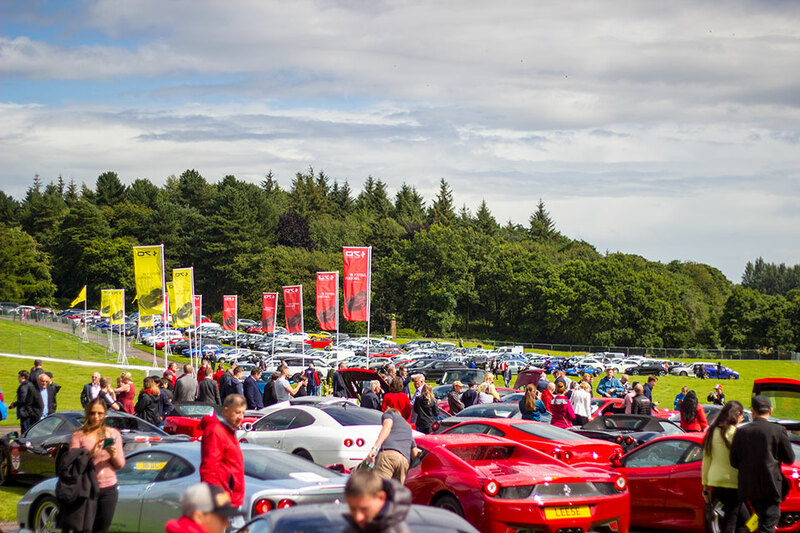 Stratstone had got a collection of 70 Ferarris together for this prestigious event and upon arrival it was a sea of red however walking round the cars on display there were a few ‘colour infiltrators’. 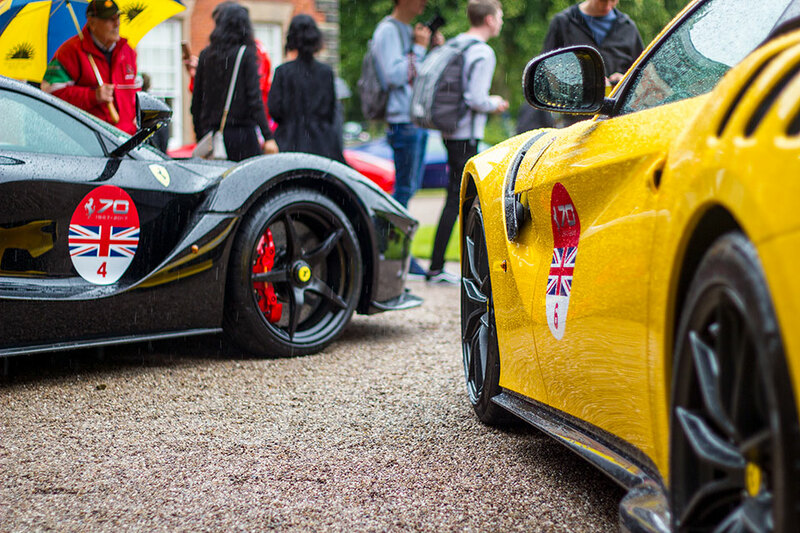 Take a look through our photos and you’ll spot a few; a blue Ferrari 488; yellow Ferrari F12 TDF (which was delicious by the way); and a black Ferrari La Ferrari – they were our highlights. 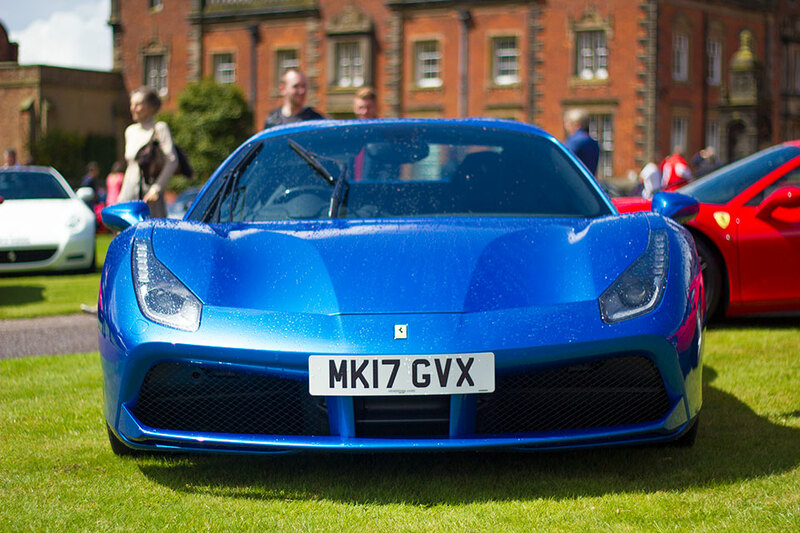 The day offered a chance to chat with owners, including YouTuber Mr JWW, and find out how and where the cars are used. Some are concourse cars, so they go from show to show and not much else. 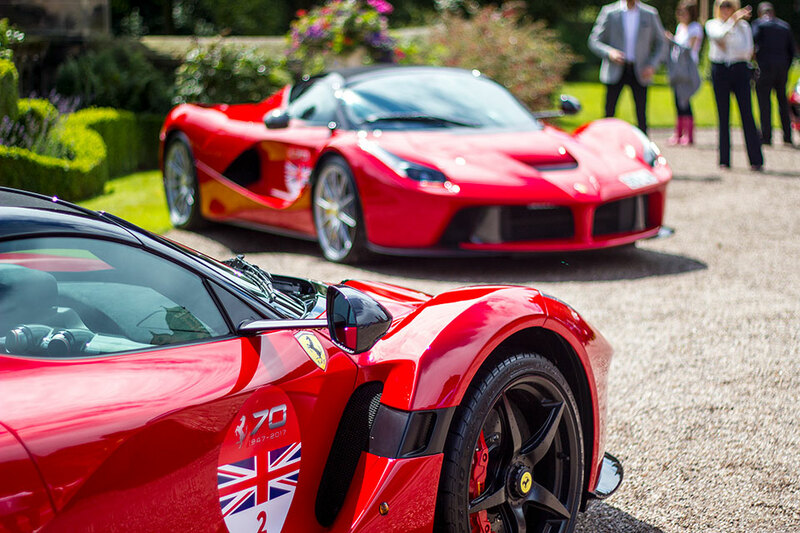 Some are daily drivers, and some are used and abused, which is why supercars are built, to be used, not tucked away as an ornament to look at. 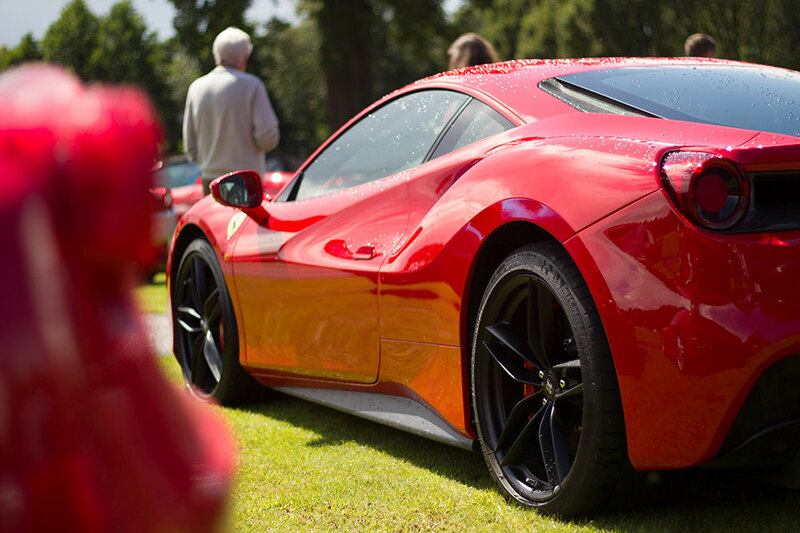 There was pretty much every type of Ferrari on display and for most of they day they glistened in the sunshine. Rain stopped play for half an hour (it is a British summer after all) but perked up again. 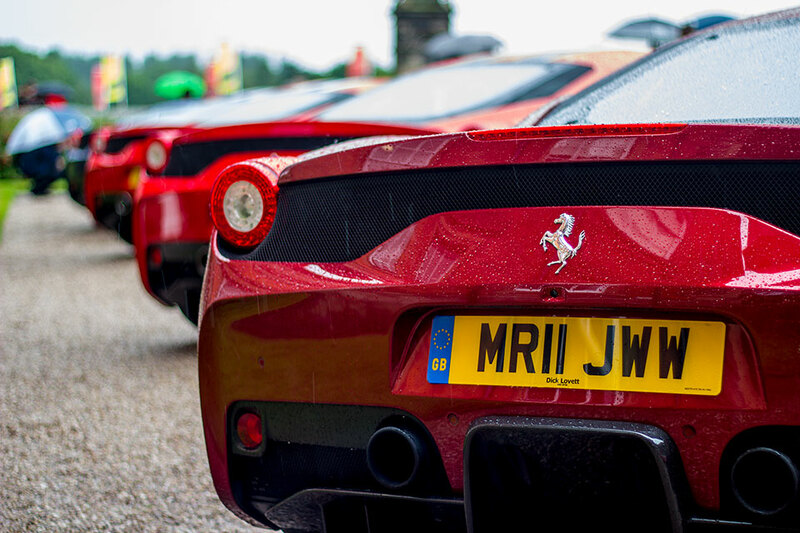 Then all hell broke loose… at 4pm there was a parade of the cars as they left Capesthorne Hall to drive through Alderley Edge and Wilmslow… it was a sight to behold for sure. 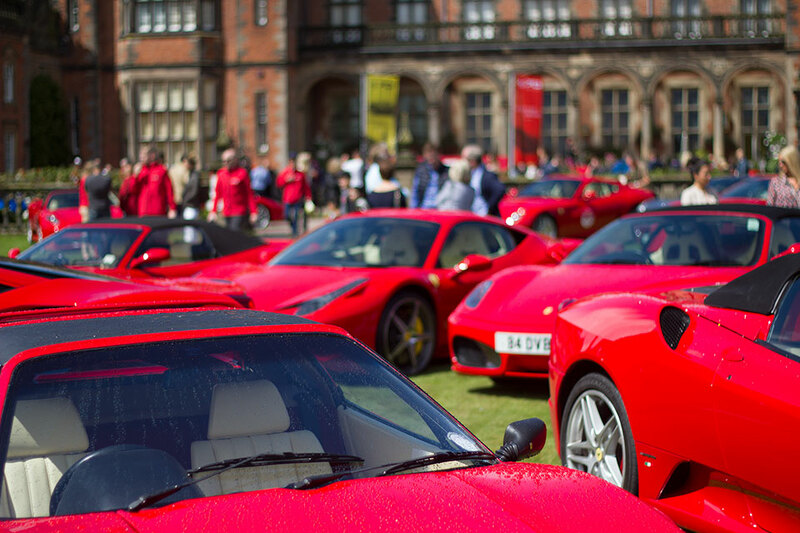 The noise of the cars alone, never mind the sea of red, was something to behold. However just minutes into the parade the weather threw a hail storm at us, yes we said hail. And it was big balls of hail coming down. 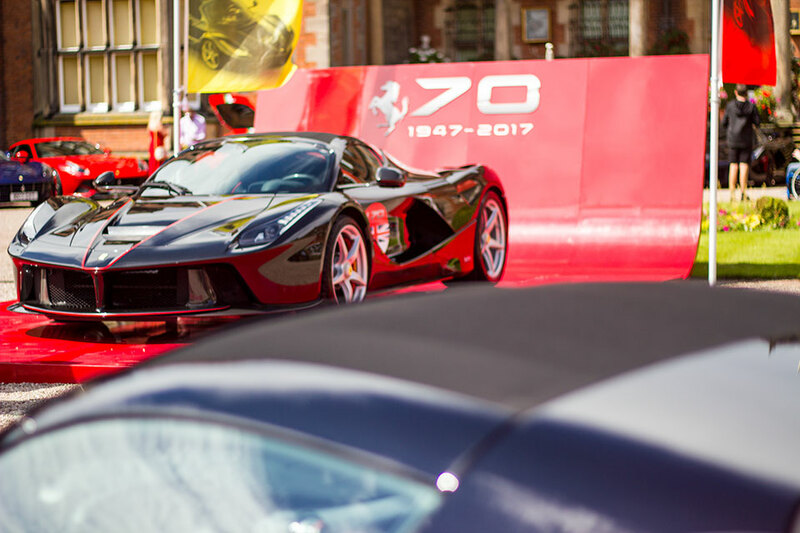 In true British fashion the show went on though with Ferrari after Ferrari hitting the country roads of Cheshire heading to the glitz and glamour of Alderley Edge, signalling the end to what had been a great day celebrating Ferrari’s 70th Birthday.